If you feel your loved one has suffered from negligence or abuse at a Garden City nursing home, understand that you are not alone. Our website has been created to help you find answers to questions you may have. Even though we have tons of content that will help you out in your efforts, we highly encourage you to give us a call so that we can set a consultation and discuss your case. We’re here to help you. Unfortunately neglect and abuse occur quite frequently. Neglect usually happens when a nurse fails to follow the proper standards that every nursing home needs to follow in order to provide a reasonable standard of care. It usually comes in the form of an unintentional act that can end up causing an injury to a resident. Abuse on the other hand is an intentional act from a nurse or a fellow resident, aimed to inflict harm on a patient. This can come in the form of emotional or physical abuse. Regardless, neither neglect or abuse should ever be tolerated. Why file suit against a nursing home for neglect? Negligence should never be tolerated in any occasion, especially within a nursing home. If an injury or death has occurred in a nursing home and it was due to negligence, then you may be able to file a claim against the facility. Nursing homes are required to assess the needs of each resident, while making sure to establish a plan to care for that resident. For example, if a resident has been labeled as a high fall risk resident, then the nursing home should place the bed in a low lying position, and should implement bed rails. If another resident is prone to bedsores, then there needs to be a monitoring schedule in place to help reposition the resident, in order to try and prevent bedsores from forming. When a nursing home fails to take the appropriate steps, or fails to conduct an assessment, then the nursing home may be held liable. If the end result is some form of bodily injury or even death, then the nursing home is responsible for the damage. Under Georgia law, the nursing home may be held responsible for negligent behavior that end up causing damages to residents. Is it expensive to sue a nursing home? If you file a claim against a nursing home that goes all the way to trial, it can at times prove to be costly. Usually the parties involved in a case will try to negotiate and reach a settlement. Your first step should always be to contact an attorney to see what your legal options are. Most injury attorneys will work on a contingency fee. This means that if a settlement or a verdict in your favor are reached, then you won’t have to pay the attorney anything. The attorney will usually receive a predetermined percentage of the recovery. Unfortunately though, most nursing home cases will require other fees than those paid to the attorney. These include court costs, or fees paid to medical experts. Most attorneys will pay these costs for you up front as part of a contingency plan, where they’ll be able to recoup these costs at the time of a settlement or a verdict. That’s why retaining an attorney on a contingency fee will mean that you won’t have to worry or stress about funding the case or having to pay anything out of pocket. We are Schenk Smith, your Garden City nursing home lawyers. At Schenk Smith, all of our content and efforts are dedicated solely to cases on nursing home abuse and neglect. We don’t practice any other form of law. We strictly represent residents who have suffered negligence or abuse. We’re very passionate about our practice. Our passion stems from our founding attorney Will Smith, who spent a decade prior to law school as a CNA for several nursing homes within the state of Georgia. His passion for nursing home residents resonates throughout our law firm, which sets the standard for our approach. After you’ve had the opportunity to watch our videos, listen to our podcast episodes, and read our blog, please give us a call to schedule a free consultation. We’ll come to you regardless of where you live in Garden City. Whether you’re by the Ships of the Sea Maritime Museum, the Mercer Williams House Museum, or the UGA Marine Education Center & Aquarium, we’ve got you. Nursing Home Abuse & Neglect in Garden City, Georgia – What you need to know. Garden City, Georgia is located in Chatham County, and has a population of 8,889 residents. Of those residents, 12.30% are aged 65 and older. Like other nursing homes in Georgia, elderly neglect and abuse occur quite too often. Will the nursing home take it out on my loved one if I report neglect? This question, is one that is often asked. Families are always concerned about revenge being enacted on their loved one, which is the number one reason why abuse and neglect go unreported. But this will only guarantee that neglect and abuse continue. That’s why it is imperative to report any negligence or abuse as soon as possible. Retaining a nursing home lawyer can help you overcome your fears. A nursing home lawyer will investigate and shed light on your loved one’s situation, which can help protect your loved one. Think about it, it is much harder for a nursing home to continue negligence or abuse when someone is there watching, investigating, and reporting what they find. Rather than fearing revenge being enacted, contact a nursing home lawyer immediately, so that they can help stop the abuse or negligence from continuing. My loved one died from septic shock – Is the nursing home responsible? Septic shock is the final stage of sepsis, which is a complication of an infection that’s become life-threatening. When the infection has gotten to the point of septic shock, this means that the infection has become very severe, or has become so widespread that it causes organ failure and low blood pressure. This critical condition requires immediate assistance. Because of resident’s old age and weakened immune systems, they are at an increased risk of developing sepsis and septic shock. If a nursing home neglects to take the proper measures, or fails to provide inadequate treatment, and a resident develops septic shock, then the nursing home may responsible for related medical expenses and costs. Septic shock is very serious, and is prevalent in nursing homes. Which is why nursing homes need to take great care to protect against infection, by minimizing their use of catheters and feeding tubes. If your loved one has developed septic shock as a result from the nursing home being negligent, then you have the right to pursue legal action. What online resource can I use to see if this nursing home has been penalized before? There are a couple of online resources that can provide valuable information on different nursing homes. The first thing you can do is visit the Georgia Department of Human Services website. On this site you can find a nursing home that fits the needs of your loved one. Besides using these online tools, it is also highly recommended to conduct walkthroughs and ask as many questions as possible in order to get a feel for the nursing home. My loved one was hurt in a Garden City nursing home – What do I do next? If your loved one was hurt or has passed away in a Garden City, Georgia nursing home, then we highly recommend for you to act immediately, in order to protect your loved one’s rights. The Georgia Department of Community Health has a division known as The Healthcare Facility Regulation. This division investigates claims of nursing home abuse and neglect. They also certify and regulate nursing homes in the state of Georgia. The Georgia Office of the Long-Term Ombudsman program offers another route that you can take to file a complaint. The Ombudsman program is dedicated towards resolving complaints and issues residents have against nursing homes. The Ombudsman program is also authorized by law to go into nursing homes and ask questions. If your loved one has been assaulted, and as a result has been hurt or has died due to an unlawful action from the nursing home, then it is in your best interest to file a police report. Depending on the severity of what transpired, criminal charges may be brought against the perpetrator by the District Attorney’s Office: Eastern Judicial District. For abuse occurring in a Garden City, Georgia nursing home, report the crime to the Police Department of Garden City, Georgia or to the Chatham County Sheriff. If neglect or abuse has occurred against your loved one, you should look for other facilities that are better suited for your loved one. You may be asking yourself, “How will I know if another facility is better?” Well you’d first want to find a couple of potential nursing homes, and conduct a walkthrough. Besides conducting walkthroughs, you should also check out the Nursing Home Compare website which is operated by the United States Centers for Medicare and Medicaid Services (CMS). This site has data on every nursing home in the country, and provides a 5-star rating for each. The ratings are based off various factors including, quality, nurse-to-resident ratio, and inspection scores. For your convenience, a list of all nursing homes located within Garden City, Georgia is located below, along with their contact information and inspection scores. In the event that an injury has occurred due to negligence or abuse, it is imperative that you obtain your loved one’s records. The reason it’s important is because nursing homes will stop at nothing to place the blame on your loved one, rather than accepting responsibility. For example, if your loved one slips and falls, and breaks a bone, the nursing home will claim that the bone was broken before the fall – even if all the evidence indicates that wasn’t so. To help build your loved one’s case you need to acquire their medical records that will show who the primary care physician was, and information on the hospital visit. You also want to make sure to obtain the nursing home records, because those will sometimes show if negligence has taken place. In order to get those records, you’ll need the proper written authorization. State and Federal privacy laws prevent third-parties from viewing or obtaining medical records, regardless if you’re a spouse, child, or relative. That’s why you’ll need written authorization in the form of a power of attorney, a healthcare directive, or guardianship paperwork. If your loved one has passed away, their right to sue is still valid. A deceased person’s right to pursue a lawsuit is handed over to the Estate. For example, the plaintiff goes from being “Jane Smith” to “The Estate of Jane Smith”. But before the suit can be filed, the Estate must first be established. For this to happen, the surviving spouse or relative must petition the Probate Court of the County in which the deceased has passed. If you’re currently dealing with this situation, you need to setup an Estate immediately. In doing so you will also need to appoint a personal representative. The personal representative – often called an Executor or Administrator – will act on behalf of the Estate, and will make all the decisions with regards to the lawsuit. No two nursing homes are alike, as they each have their owns pros and cons. Below is a list of the nursing homes in Garden City, Georgia, along with relevant information for each. This information is taken from CMS’ Nursing Home Compare Website. Dedication: At Schenk Smith we solely focus on representing nursing home residents that have suffered from neglect or abuse. That’s it. Our sole focus in taking on nursing home cases allows us to be knowledgeable on any changes that may pertain to nursing home cases. Our dedication has enabled us to obtain millions in verdicts and settlements for our clients in the past two years. 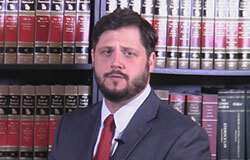 Top Notch Attorneys: Our attorneys have been selected as Georgia Super Lawyer Rising Stars. But the recognition doesn’t stop there. We are the best Google reviewed law firm in Georgia that focuses on nursing home cases. If that’s not good enough for you, then check out our client testimonials, and see for yourself why we should be your top choice. Resourceful: Our site offers valuable resources that are available for you at any time. We have over 200 videos, many podcast episodes, and a blog which are all dedicated towards nursing home cases. Our attorneys also attend and lead legal education seminars that are focused on nursing home cases and nursing home law. That’s not all, as our attorneys are also members of senior citizen advocacy groups. If your loved one was injured or died in a Garden City, Georgia nursing home, please call us at Schenk Smith (678) 823-7678 for a free consultation. You can also check out hundreds of video FAQs on our website.